Dengue Fever Symptoms Signs And Treatment! “Dengue fever is a disease caused by a family of viruses that are transmitted by mosquitoes”. When a mosquito bites a person having dengue fever, the mosquito becomes infected with the disease. It can then spread the disease to other people by biting them. Dengue fever is not a contagious disease, so it can’t spread directly from person to person. 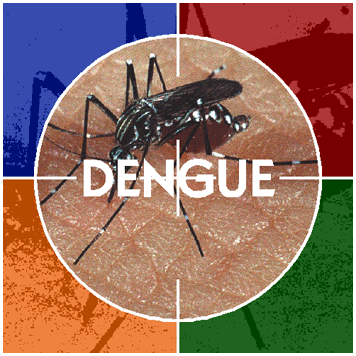 Dengue fever is diagnosed by a blood test and fever signs. There is no specific treatment. Medications are given to relieve the symptoms. Apirin should not be given as it causes bleeding. So take paracetamol to relieve fever. Patient may be required to be sponged down with water at room temperature using a wet squeezed out towel. Rest is necessary for speedy recovery and patient should consume plenty of water. Patient should be kept in room that has screens to prevent mosquitoes from entering.  Improve water storage practices. Cover all the containers to prevent the egg laying female mosquito’s access to it as mosquitos breed easily in any source of standing water.  Implement proper solid waste disposal.  Use mosquito lotion and netting over your bed at night.  Reduce out door activities during morning and late afternoon.  Wear long pants full arm shirts, shoes, and socks when you go outside. How can I change my payee name?